A year and a week ago, I filed an Illinois Freedom Of Information Act denial lawsuit [PDF] against the Chicago Transit Authority for records related to the bidding process that led to Ventra. On December 19, 2014, I settled with the CTA after obtaining those records. For a variety of reasons, I've decided to disclose what I've discovered now on my own blog. And due to the fact that I have over 10,000 pages worth of PDF files, uploading and hosting it all online is a little tricky. I'll try to make those documents available to interested media outlets later this week. 1. A lot of companies were interested in building an open fare system for the CTA...at first. To built their replacement fare payment system, the CTA held a two-step Request for Proposals process. The optional first step (and an additional Request for Comments period) allowed the CTA to assess various ideas, while Step 2 gave very specific submission criteria for would-be bidders. Svanaco, Inc DBA [doing business as] americaneagle.com, Inc. Many of them declined to participate in the actual Request for Proposals process, others joined forces with the companies that did. 2. Cubic's Best and Final Offer of $454 million bid beat Samsung's final bid of nearly $1.46 billion. Blaze Mobile and mPayy appear to have not participated in the final bidding. Despite records that indicate negotiations with the CTA up to the end, ACS and Accenture both declined to submit final bids. Interestingly, ACS went on to win a $129.5 million contract to build an open fare system in Philadelphia around the same time Cubic won the CTA contract, while Accenture later won a $184 million contract in D.C.
SEPTA chose ACS after a three-year-long process. The company offered the lowest bid, $5 million less than Cubic and $84 million lower than Scheidt & Bachmann. And it scored highest in technical reviews by SEPTA staff. My curiosity as to why the CTA didn't disclose similar details led to what you are reading today. 3. Ventra is capable of raising CTA fares to whatever it wants, including peak/off-peak pricing and distance/zone-based pricing. Varying prices by route and station including variations for not only the base fare, but transfer prices and regulations for that route or station. Distance-based and Zone-based fares, to be demonstrated by the Contractor during SAT [System Acceptance Test] using temporary business rules to be mutually defined and approved during Design Review. Parameter settings available to CTA include, but are not limited to the following: Customer category, as defined by CTA's fare policy (e.g., regular full fare; reduced fares for seniors, disabled; employees; contractors; students); Peak and Off-peak fares; Unrestricted access; By service mode ('L', local and express buses) and individual route or combination of routes; and Times and duration of activation and deactivation in terms of hours, specifics dates, and specific time periods. CTA shall be enable to execute changes to the parameter setting for fare pricings and Fare Media purchase options through a strict change control process defined, implemented and managed by the Contractor [Cubic]. What this means is that instead of paying the same flat-rate to go (almost) anywhere along a Bus/"L" ride at anytime, the CTA can work with Cubic to raise fares significantly based on when you travel and how far you go. Metra (which is implementing Ventra) already has distance/zone pricing. D.C. and London [PDF] do both. 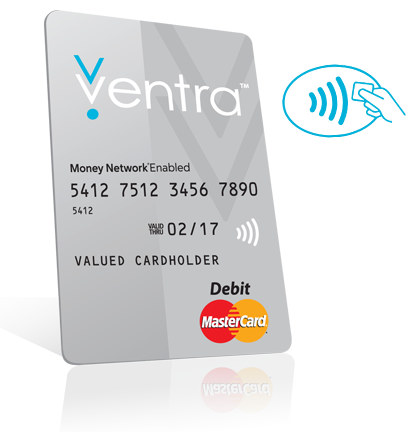 By comparison, here's how much it currently costs to use Ventra. Whether the CTA goes in either/both of these directions remains to be seen. 4. The Ventra contactless card readers are/were capable of reading the ChicagoCard. Though the CTA explicitly asked for a system to replace it's Chicago Card, Cubic proposed and ultimately built a card reader backwards-compatible with the format. Here are several quotes from the technical specifications submitted by Cubic in their RFP Step 2 submission. "The reader module will be located within the turnstile cabinet, accessible to the customer through the same opening as currently used for the Chicago Card reader/writer. The reader will also be capable of reading current Chicago Cards® and Chicago Card Plus® in circulation."  Contactless Reader Module: This unit has a similar form factor as the existing CTA contactless reader, allowing placement in the cabinet in the same location. The card reader module is also capable of processing CTA Chicago Card media already in circulation, although this feature is not required in a pure overlay solution. The location of the reader can be in the lid of the gate cabinet or (preferably) in the position currently occupied by the existing reader. The reader module will be located within the turnstile cabinet. The location of the reader can be in the lid of the gate cabinet or (preferably) in the position currently occupied by the existing reader. The reader will also be capable of reading current Chicago Card and Chicago Card Plus in circulation although this feature is not required in a pure overlay solution.  Contactless Reader Module: This unit has a similar form factor as the existing CTA contactless reader, allowing placement in the cabinet in the same location, providing a boon to customers who are already familiar with presentation of contactless media in that location. The Cubic reader module is capable of processing CTA Chicago Card media already in circulation, further aiding the customer by processing all contactless media in the same location on the turnstile cabinet, removing the confusion resulting from multiple “target” with similar functionality and labeling, especially during the critical startup period. While this is TOP’s [Cubic and partners] strongly preferred solution, and we do not think it is a clear exception to the requirements of the RFP, we will indicate it as an exception, and are prepared to install the reader on the gate lid should that be required. 5. The Ventra contactless card readers are likely based on the same technology currently used by Transport of London. Central to the seamless transition was the Cubic Tri-Reader 3, developed in conjunction with TfL and the first contactless smart card device compatible with all industry standard transportation schemes and contactless payment cards. Tri-Reader 3 is also a term that comes up throughout Cubic's submissions to the CTA. The reader is based on Cubic’s Tri-Reader technology and has been optimized to process contactless cards in transit environments as quickly as possible. The Open Payment Media Reader embedded in the customer-facing portion of On-Board Processor is a Cubic Tri-Reader capable of accepting contactless open payment media products, such as contactless bank-issued credit and debit media that are ISO/IEC-14443 compliant contactless smart cards for fare payment. Cubic’s Tri-Reader 3 is the contactless payment reader unit, which is comprised of an antenna board, digital processing board, and expansion board for additional memory and communications with the administrative sales device PC. Typically, the card reading range spans from 0 mm to more than 50 mm from the surface of the antenna. The ideal range is from 10 mm to 30 mm. The Tri-Reader 3 contains 4 gigabytes of Flash memory and 512 Kbytes of random access memory (RAM). The Tri-Reader 3 used in the administrative sales device is the same device that is integrated in the fare media vending devices, bus mobile validators and gates. As I've previously written, the original Cubic Tri-Reader was designed to read the same smart card format as the Chicago Card. 6. The actual winning bid that Cubic submitted to the CTA predicted the Ventra launch problems that occurred almost two years later. As many Chicagoans know, the actual rollout of Ventra in late 2013 was plagued with errors. Cubic's own Best and Final Offer from November 7, 2011 contains the following quotes from its proposed launch strategy. ...Also we will start molding expectations about deployment. No deployment is without bumps. It is best if people are told that before implementation gets too far advanced. After the first phase of the implementation ends...there should be another progress story offered to the press. On time, smooth sailing, bright future. The first visible indication to the customers that a new system is coming will be the installation of the new bus readers. There should be another progress story related to the readers. Good visuals with the brand prominent, and how fast and cool it will be to board a bus using the new system. This is where a vague expectation date should be worked into the story. 'Fall' of some year, is better than a month, and way better than a day. Also take the opportunity to mold expectations. That the system will be there after we're comfortable we've worked out every bug we know about, because heaven knows there will be more. Whether or not Cubic and the CTA successfully "molded" expectations is a question I'll leave to others. There's one more fairly significant chain of events I've discovered in these records. I will be saving that for a separate post later this week. After which, I will be happy to make these records available. did the CTA pay your legal fees? did you file a "request for review" with the attorney General office first? did they respond? This truly is fantastic find. Thank you for the information. Thank you for getting to the bottom of this! CTA's line was not that the Ventra reader couldn't read the Chicago Card, but that the media chip on the Chicago Card was obsolete, and thus they were "forced" to go to RFID chips. Anything in your research supporting that? You were talking about Cubic's PR to try to overcome expected implementation problems, but were the implementation problems actually reported (and seemed to be 2 a day until Claypool pulled the plug on the initial implementation schedule) foreseen? Stuff like the double charging, not being able to get "customer service" on the phone, problems in activating accounts, and CTA doing stuff like treating RFID bank cards as cash fares? BTW, Metra has done nothing to implement Ventra, other than taking an app from NICTD and convincing CTA and Pace to make it into a Ventra app. I assume that to comply with the meaningless legislative mandate for a regional open standards fare system, there would have to be a way to put Zone E monthly passes on a Ventra card and have the conductor verify it. The impression I got was that because the problem of zone based fares and lack of fare controls was so complex, Metra was eventually going to contract out design of a system for it. If you are searching for the #1 Bitcoin advertising network, register on MellowAds.